We all know that we need to get regular exercise. 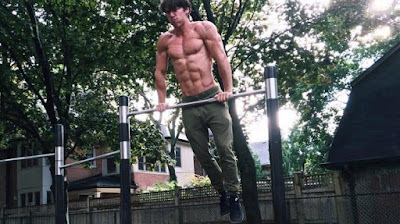 What many men and women don’t realize is that it’s possible to get a great workout without any equipment. You don’t need to spend hundreds or thousands of dollars on gym memberships or fancy machines. You can design your workout program on bodyweight exercises. This article shows you 7 benefits of bodyweight exercises that you can start enjoying today. Bodyweight exercises are easily done as part of an HIIT routine. HIIT stimulates your body to produce more growth hormone and testosterone. This helps you lose body fat. But there can be a downside to weight loss … losing muscle mass and strength. HIIT avoids this pitfall. With HIIT you’re actively using your muscles. So they have no choice but to become stronger. You’ll lose body fat and gain muscle tone.